After you've learned how to load images from all kinds of sources and how to display them in ListViews, this tutorial is all about placeholders, which bridge the time until the image loading. Glide has released a 4.0.0 version. We've updated this tutorial accordingly. It is now for both versions, the previous release of Glide 3.8.0, and the newest 4.0.0 release 😍 Please keep in mind that the code snippets are different for each version. We probably don't even have to explain or discuss it: empty ImageViews don't look good in any UI. If you're using Glide, you most likely are loading images via an Internet connection. Depending on your user's environment, this might take a significant amount of time. An expected behavior of an app is to display a placeholder until the image is loaded and processed. For obvious reasons, you cannot set an Internet url as placeholder, since that one would be required to be loaded as well. App resources and drawables are guaranteed to be available, accessible and relatively efficient. However, as the parameter of the load() method, Glide accepts all kind of values. These might not be loadable (no Internet connection, server down, ...), deleted or not accessible. In the next section, we'll talk about an error placeholder. Let's assume our app tries to load an image from a website, which is currently down. Glide does give us the option to get an error callback and take the appropriate action. While we'll cover that option later, for now this would be too complicated. In most use cases a placeholder, which signals that the image could not be loaded is sufficient enough. That's it. If the image you define as load() value cannot be loaded, Glide will display R.mipmap.future_studio_launcher instead. Once again, acceptable parameters for error() are only already initialized drawable objects or pointers to their resources (R.drawable.<drawable-keyword>). Starting with Glide 4.3.0 you can also pass a full Glide request to the error() method. That means you don't have to provide an error placeholder with the phone. Instead, you could load any other image from the Internet. You pass a full Glide request to the error() method. The passed Glide request has all options available, so you could also add transformations, animations, etc. The rules are identical to .placeholder(): you can only pass a drawable or a resource id. The withCrossFade, or crossFade() methods have another method signature: (int duration). If you want to slow down (or speed up) the animation, feel free to pass a time in milliseconds to the methods. The default duration of the transition is 300 milliseconds. This would directly show you the image, without fading it into the ImageView. Please make sure you've a good reason for doing this though! It is important to know that all these parameters are independent and can be set without relying on each other. For example, you could just set .error() without calling .placeholder(). You could set the crossfade animations without the placeholders. Any combination of the parameters is possible. Hopefully you learned a lot from this tutorial. It is tremendously important for a good user experience that the images are not popping in unexpectedly. Also, make it obvious to the user when something goes wrong. Glide assists you with easy-to-call functions, which provide the things you need to design a better app. Don't forget to check out the official documentation, which also covers placeholders and transitions. In the context of this tutorial series, we're not done with the optimization options yet. In the next tutorial, we'll look at image resizing and scaling. Still Have Questions? Get Our Glide Book! In order to be competitive in today's Google Play environment, your app needs to be polished. Images need to be used consistently and loaded smoothly. 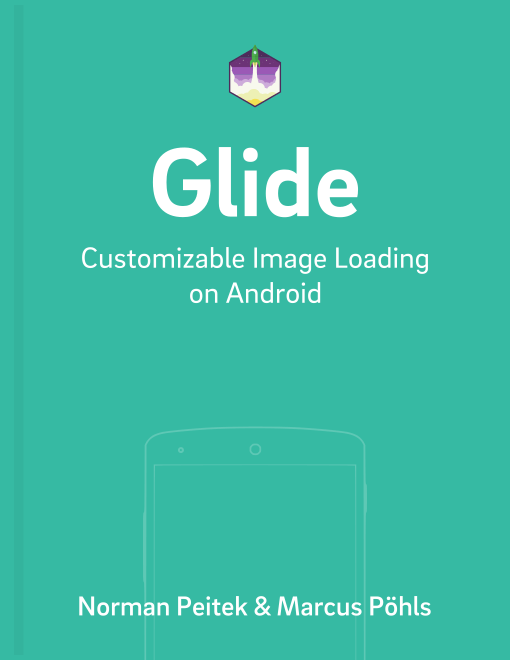 Learn how to create and completely customize image-rich Android apps with our book on Glide. Save yourself valuable development time by learning Glide's functionality for an amazing user experience directly from us. Boost your productivity and enjoy working with images on Android.